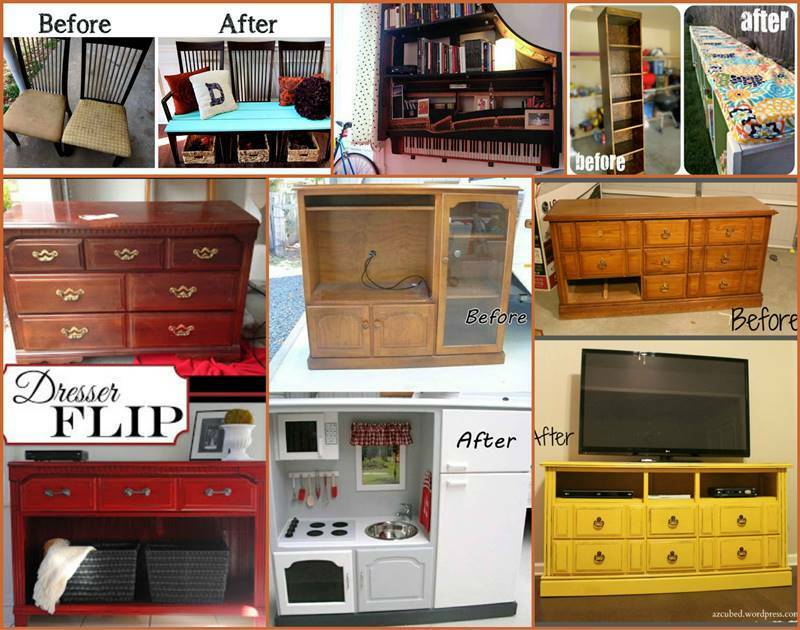 Thanks to the creativity and efforts of DIY enthusiasts, repurposing old furniture has become more and more popular because it’s a nice way of recycling and a cheaper and feasible way to own a new functional piece of furniture. Does your little girl love to dress up like a princess and own everything of princess, such as dresses, costumes, make up, toys, accessories and so on? Then this little girl dress-up station is exactly what she needs! 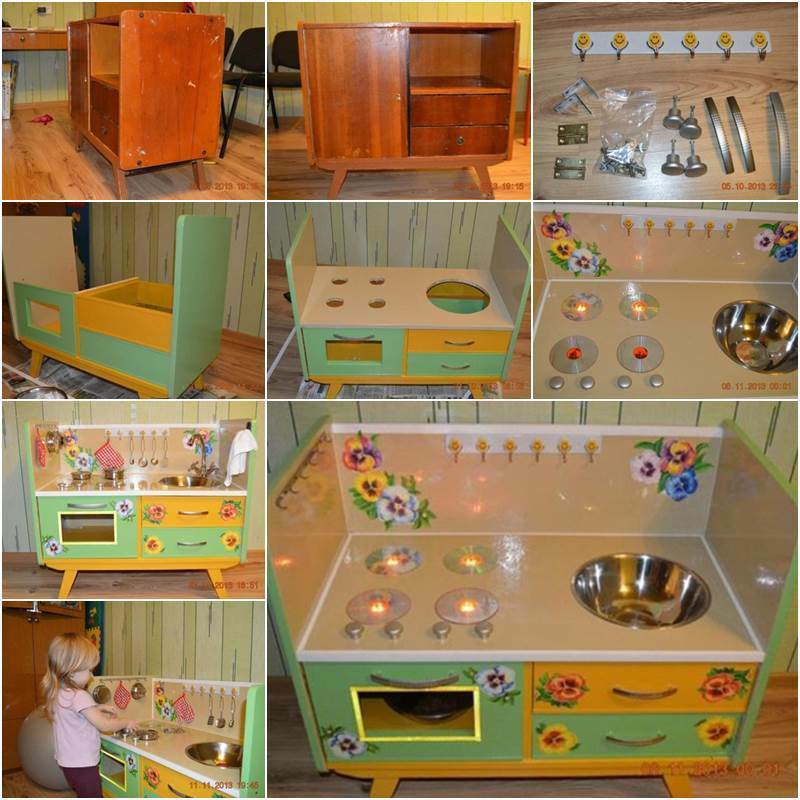 And can you believe that it’s made from an old TV stand? 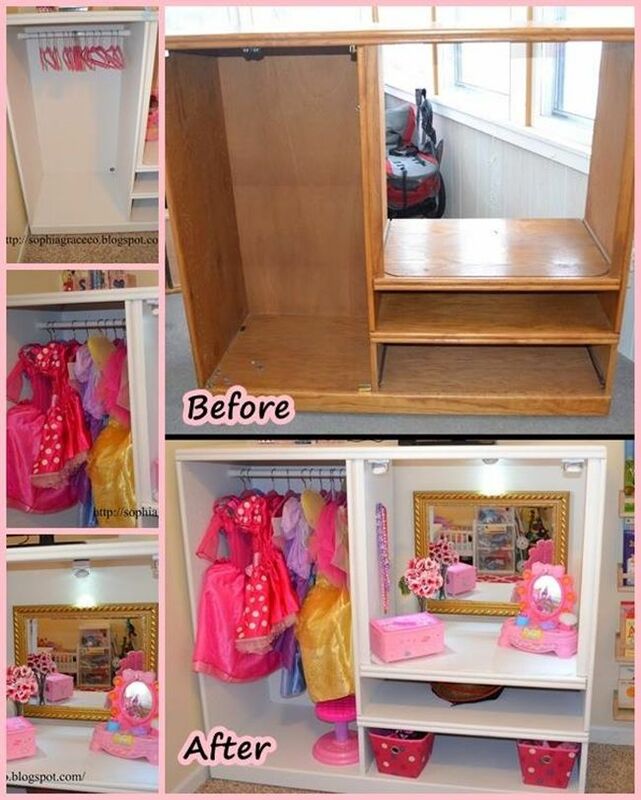 I love this transformation because it has everything a little princess needs: a closet to hang all those beautiful costumes, battery powered lights to light up the dress up table, and enough space to store all those princess accessories. It would easily cost you several hundred bucks if you buy a similar new one in the store. 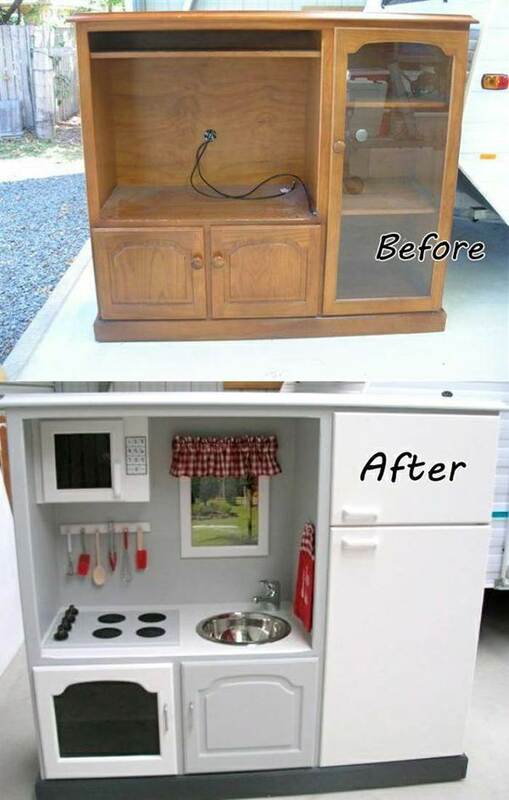 But with simple materials (white paint, mirror, lights, curtain rod, etc) and basic skills (painting, drilling, etc), you can repurpose an old TV stand into this awesome dress up makeover. The followings are other creative ideas to repurpose old furniture. Enjoy!